A personal response by Marshall about America’s violent gun culture and the mass shootings at the Jason Aldean concert in Las Vegas, Nevada, on 10/2/17. A 10-minute overview of my exhibition for friends who are not able to come to the gallery and see the show. A chronological look at Marshall’s paintings and sculptures, 1968 to 2017. 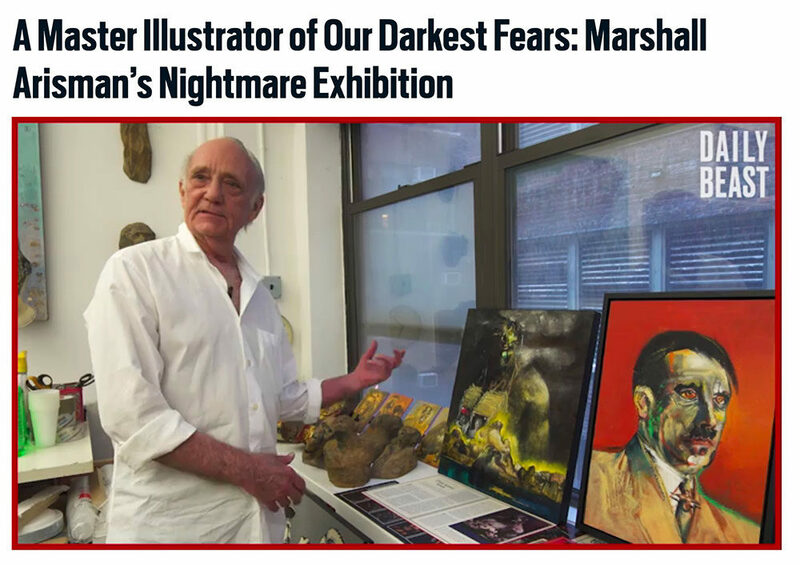 Marshall’s next exhibition, An Artist’s Journey from Dark to Light, will be held this August at the SVA Chelsea Gallery. A 13-minute video compilation of subway posters, illustrations, and books for my upcoming exhibition at the SVA Chelsea Gallery in the summer of 2017. Marshall’s creative life was highly influenced by his grandmother—a noted and gifted medium who lived in a Spiritualist community called Lily Dale in upstate New York. A Spiritualist minister who was herself a talented artist, Louise Arisman presented her young grandson with the possibility that life everlasting was not simply a religious hope, but something she found proof of every day by communicating with those who had “passed over,” bringing messages back to the living. The fascination with that possibility has shaped his work as an artist. This 55-minute documentary follows Marshall as he returns to Lily Dale, his grandmother’s home for more than 50 years and the site of the church she founded. 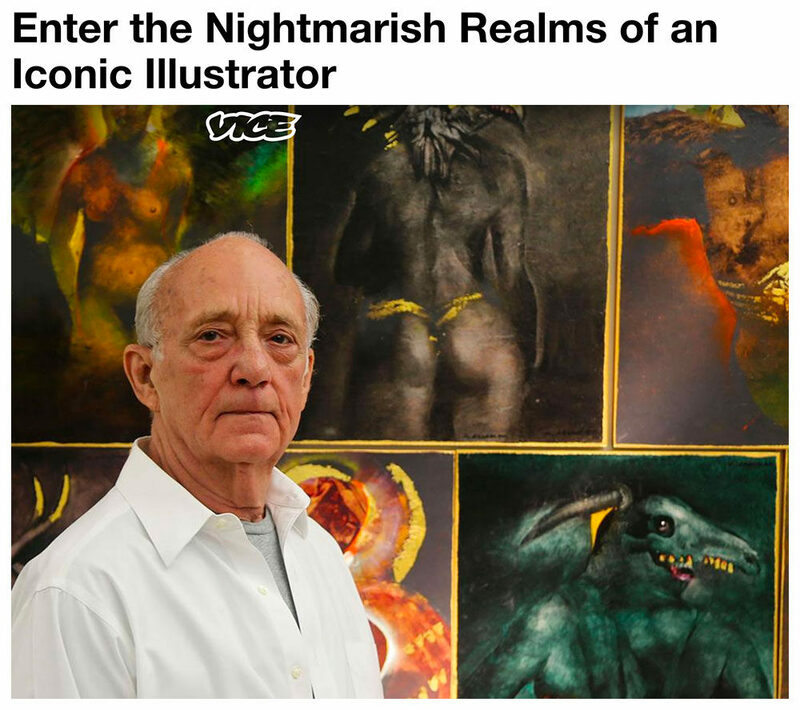 Using archival footage and outtakes from a documentary on his work and process (Facing the Audience: The Art of Marshall Arisman, 2003), as well as photographs, interviews with current Lily Dale psychics, and new footage, the film explores the link between Marshall’s creative output and his early immersion in psychic phenomena. Along the way, we discover some of the history of Spiritualism, and how it influenced the work of writers and artists in the early 20th century: William Butler Yeats, Aldous Huxley, and such prominent artists as Kupka and Kandinsky. We learn of Louise Arisman’s psychic reading for Lucille Ball, who was born in Jamestown, NY, not far from Lily Dale. Ball’s museum and library are located there, and once a year during Lucy Week she is honored for her celebrated career—one predicted by Louise. You can read more about the film and the making of it here.